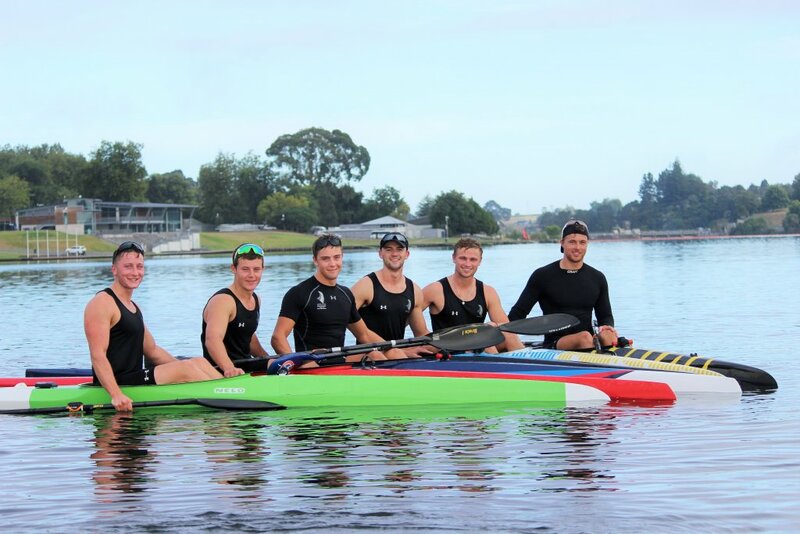 The NZ Men’s Kayak squad, from left: Ben Duffy, Zach Ferkins, Ashton Reiser, Hamish Legarth, qualifiers for the men’s under 23 K4, and Max Brown and Kurtis Imrie, the men’s K2 for the world cups. 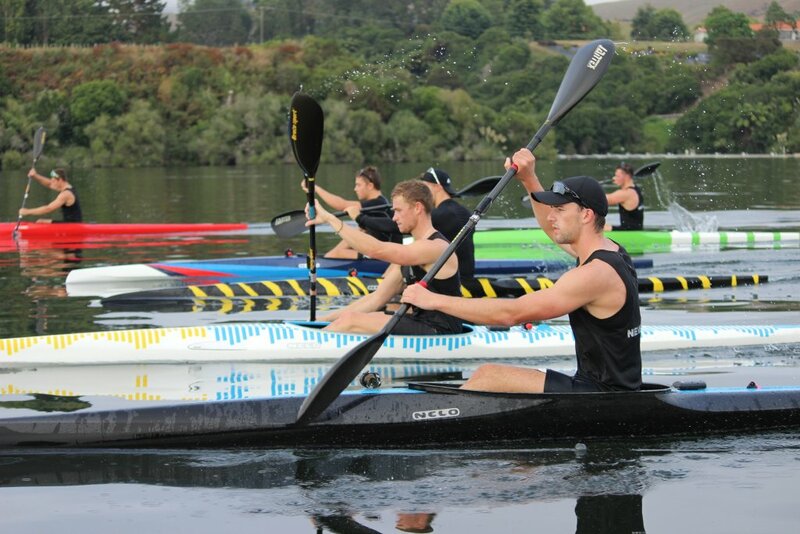 Performance on the water for members of the NZ Men’s Kayak squad has improved tenfold since the canoe racing team moved to Cambridge at the start of last year. Now with their training base at Karapiro – a more effective location than their former Auckland roost – the canoe racers have managed qualified for the under 23 world championships and the upcoming world cups. It’s especially significant for Max Brown and Kurtis Imrie, the two oldest of the bunch. Their performances at Nationals last month, followed by a successful trial run, has resulted in a spot for each of them in the two-man K2 boat, representing New Zealand at the Canoe Racing World Cup I in Poland in late May, and the Canoe Racing World Cup II in Germany in early June. It’s the opportunity of a lifetime for the 23-year olds. If all goes well, they could qualify for the following Canoe Race World Championships in Hungary, and from there on to Olympic success at Tokyo next year. “We were really happy, we won every race that was involved in the trials. But more importantly, we’re really starting to move the boat together as a unit, that team work is super important to us,” said Max, who now works as a music tutor at Cambridge East School. The NZ Men’s Kayak squad during one of their recent morning training sessions on Lake Karapiro. After a year and three months as Cambridge residents, the guys consider themselves to be “from Cambridge”. “I tell people that I’m from Cambridge now, it feels like home,” said Ashton Reiser, who won the men’s K1 200m title at nationals last month and earned a spot in the New Zealand K4 boat heading to the under 23 world championships. Squad member Ben Duffy also qualified with the K4 crew, along with and two recent additions to the NZ Men’s Kayak squad, Zach Ferkins and Hamish Legarth. After leaving New Zealand on April 15, the team will spend time in Paris training on the canoe racing course for the 2024 Olympics. From there Max and Kurtis will travel to Poznan, Poland for the first world cup event from May 23 to 26, then straight on to Duisburg, Germany for world cup number two, May 31 to June 2. The under 23 crew will compete at their world champs over August 1 – 4 in Ritesti, Romania. Right now the whole team is paddling together at a weekly average of 130km on Lake Karapiro, training morning and night while working during the day in Cambridge. They aim to boost that average to 150km a week as they near their competition. Along with training five hours each week in the gym, and with the support of High Performance Sport New Zealand, they’re feel pretty confident they’re on the right track. 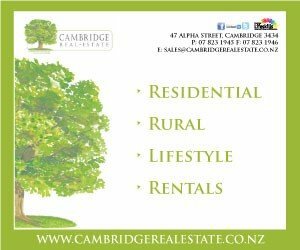 “We’re pretty happy with our direction at the moment,” said Max, crediting Cambridge as a big contender in their growth over the past year.